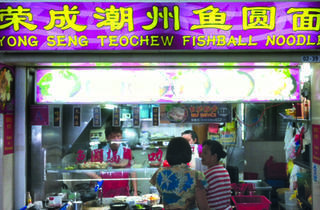 Not immediately visible from its tree-lined, steel-slatted façade, this modernised food centre one level above the ground floor wet market in the north-eastern corner of the island goes by several monikers. Previously known as the Block 105 Hougang Avenue 1 hawker centre and colloquially as the Lorong Ah Soo Food Centre, both of which reference its locale, the three-storey building now sports the name Hougang 105 Hainanese Village Centre. It’s a hat-tip to history. The Hougang neighbourhood had traditionally been a stronghold for Singapore’s Teochew-speaking population, but the food centre and wet market building memorialises a kampong of Hainanese immigrants in the neighbourhood. Like all food centres in Singapore, a few stand-outs warrant an MRT and bus trip to this bit of the heartlands. Lorong Ah Soo Lor Mee (#02-51) ranks among the must-tries. The bowl ($3.50) here deviates from the traditional Hokkien favourite, subbing shredded pork with slivers of duck, and topping the generous add-ons of ngor hiang, braised eggs, fishcake slices and thick yellow noodles with a gravy that’s thinner than most. We also note the popularity of Hup Lee (#02-24) and its affordable nasi lemak ($2.20 and up), which is best complemented with the owner’s recommendation of ikan kuning, a fried and bony fish. The fish sells out fast, but the crunchy chicken wing is a decent substitute. And the sambal is piquant and sweet enough to lift the rather bland coconut rice. For a more unique treat, look for the carrot sticks ($2/14 sticks) fried up at Dong Jin Yuan Dian Xin (#02-04). Much like the hawker favourite, each stick is made of steamed white radish cakes, lightly seasoned and deep-fried to attain a crisp outer and meltingly moist interior. 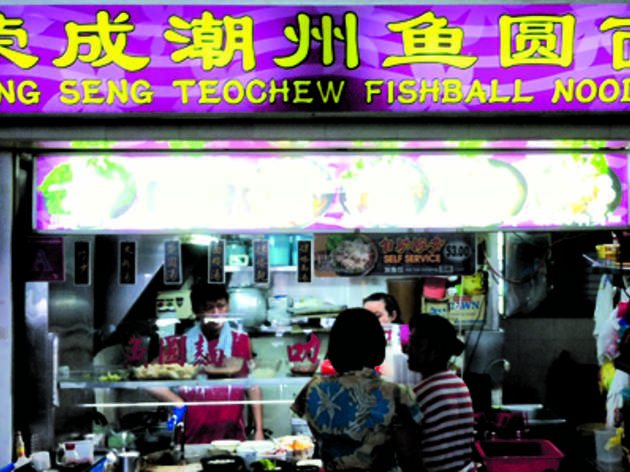 Yong Seng Teochew Fishball Noodle (#02-39) is a surprising gem. At first glance, it looks like a simple fishball noodle stall found everywhere, but the long, snaking queue gives its reputation away. The dry bak chor mee ($3.50) here comes mixed with generous portions of minced meat and lard.